Cracks have appeared in the armour of 24+, a conglomeration of organisations, which led the agitation for separate electoral roll for election to Karbi Anglong Autonomous Council (KAAC) as some its constituent organisations formed the All Party Hill Leaders Conference (APHLC), a political party, led by its former adviser JI Kathar. 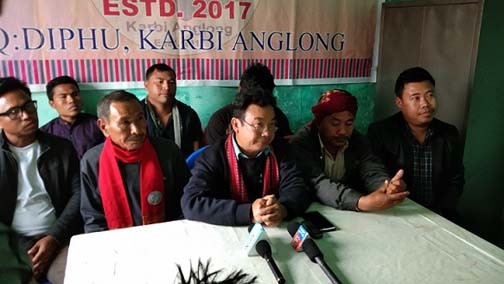 In a press conference held at the office of District Press Club of Karbi Anglong, here, a convenor of the 24+, Dhansing Ronghang said the organisation can neither support nor oppose the formation of APHLC. Ronghang said in spite of the deadline set by the Gauhati High Court of six months directing the Karbi Anglong Autonomous Council (KAAC) to start framing of rules and acts for separate electoral roll, the KAAC is yeti to do so. JI Kathar was the adviser of 24+. With the stand taken by the constituent organisations of 24+, the organisation has effectively split. Right now, it is not clear who is leading this organisation which was formerly led by its former adviser, JI Kathar.